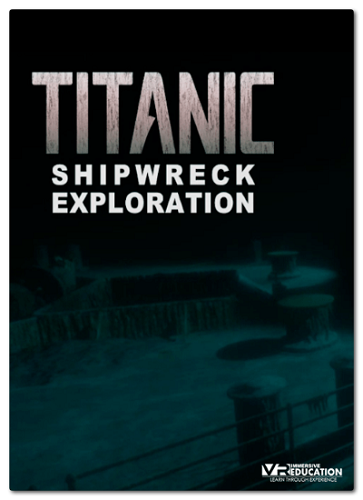 TITANIC Shipwreck Exploration - simulator study of the wreckage of the famous "Titanic". Players are invited to explore both the sunken ship and wander through its decks in 1912, admiring the views and models constructed from actual drawings. - Players will be offered a story narration and a free exploration mode, bonus missions such as rescuing a lost remote-controlled underwater vehicle, creating photo mosaics, proper placement of research equipment, as well as cleaning and preserving artifacts. - The game will be divided into two parts. In the first, users will be offered to be on board the legendary ship and survive the catastrophe that killed hundreds of passengers. Here, players will have to fight for the survival of themselves and their families. The second part focuses on the study of the remains of Titanic on the seabed. As a member of a diving group, players will perform various missions to find valuable information among the wreckage. - The goal of the developers, according to them, was the most accurate reconstruction of the course of events of the mentioned catastrophe - up to the appearance of each individual team member. 2. Copy the contents of the folder SKIDROW in the folder with the game.